Capitol Bullet Train is an excellent roller coaster in Lionsgate and one of the best attractions at motiongate Dubai. 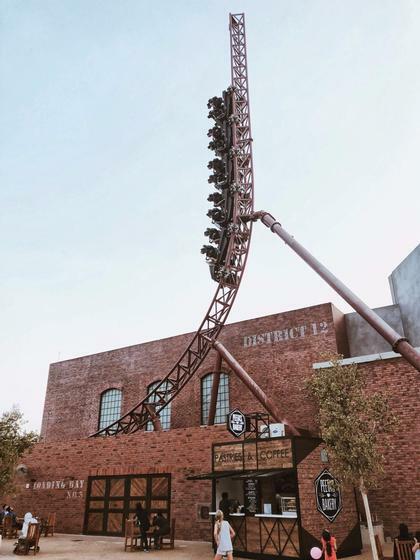 A Mack Rides launched roller coaster, themed to The Hunger Games. Great use of the IP incorporated into an exciting and thrilling coaster! Lot's of great theming detail and easter eggs in the queue including views inside the iconic tribute train from the movies. Coaster experience is excellent! Back row is my favorite as you go the highest and get the most air time on the reverse launch. A phenomenal Mack launch coaster with a strong IP and strong beautiful theming throughout the land.